The problem with this and any kind of “mild” death penalty is that playing well no longer has a value, ergo, players don’t feel rewarded for improving. If there is no serious death penalty, the optimal move is to mindlessly jump into any situation until you succeed. This is best done with a bot, hence the extreme botting. You DO remember the moments of Ultima Online. You surely don’t remember grinding 10 levels in WoW while watching TV. 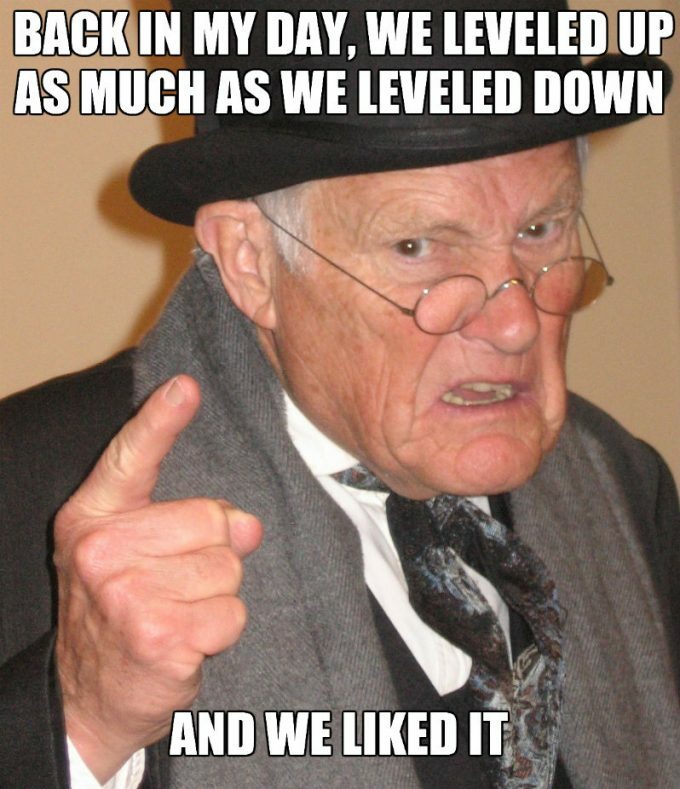 I hear you on UO vs. WoW comments. However, I think there’s enough of penalty here to reward skilled play. There are specifics to figure out (how long does debuff last, how many skills can be lost, etc), but this will make it harder on the players. Losing skills is worse than a small XP loss or spirit run since overall effectiveness decreases. It especially gets tricky in group scenarios where entire dynamics must change to adapt instead of going with the cookie cutter builds. I actually think it’s too harsh for the general MMO crowd that holds a strong loss aversion, but it could work well in the right niche game.